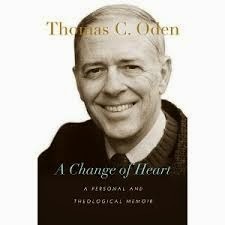 The Sacred Page: Thomas Oden's "Change of Heart"
"Will was trying to show me that the errors I was making were much deeper than I had realized. I tried to defend myself. Suddenly, my irascible, endearing Jewish friend leaned into my face and told me that I was densely ignorant of Christianity, and he simply couldn't permit me to throw my life away. Holding one finger up, looking straight at me with fury in his eyes, he said, 'You will remain theologically uneducated until you study carefully Athanasius, Augustine, and Aquinas ... If you are ever going to become a credible theologian instead of a know-it-all pundit, you had best restart your life on firmer ground. You are not a theologian except in name only, even if you are paid to be one." Yes, Dr. Oden, and Athanasius, Augustine, and Aquinas had another thing in common: they were all Catholics in communion with Rome. 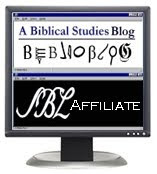 We would love you to consider their ecclesiology! Interesting. For an undergrad class I had to read one of his books, "Pastoral Theology: Essentials for Ministry." It was one of the few and far between books I actually enjoyed reading. He has a rare gentleness to his expression in his writing, much like yours. I think about him often, let's pray he comes! With a very gentle and pastoral touch you say so much. I truly hope that my brothers and sisters who are "theologically uneducated" will consider the ecclesiology of those great men. And I will continue my education until I die with the pledge that I will think least of my own opinions and greatest of those who have shaped Christianity. I was thinking the other day of St. Jerome's famous quote, "Ignorance of scripture is ignorance of Christ". It led me to believe he could have fittingly said, "Ignorance of the liturgy is ignorance of Christ". Which could just as fittingly be applied to ecclesiology. Anyway, what a great quote. Thanks as always for your insight. There is no drawing point past the 4th. I would suggest that until the end of salvation history, it stops with 4. We will not have any more fathers of the Church for there is really not anything that is discussed by the fathers who have come before this generation that is not already examined and stated correctly. Of course, there are many fathers out there so in order to get the full claim to know-it-all pundit status, all have to be studied. Actually on that note, the notion of an inventor may not be a completely accurate analogy as inventors come up with something new. It seems that inventors to fathers of science would be a better analogy. In that case, there would no longer be any NEW inventors, which of course today in this modern world there are so you might just as well ignore the analogy altogether and stick with theology. And that is actually fitting, for this isn't a scientific blog, but a sacred one. None of this of course is to demean Oden's Jewish friend. But in all seriousness, think about this from a Jewish perspective: He knows of the major fathers of the Church. However its unlikely that he really has an in-depth knowledge of all the other the fathers. So the true statement would be that know-it-all pundit status belongs to the theologian who has knowledge of scripture, tradition, and ALL church fathers. Perhaps what the Jewish scholar meant was that if you know these three you will have the basic know it all pundit status. So really whoever knows beyond these three the pundit status goes up each time. There should be honorary degrees associated with this. ...Of course this last comment assumes that the Jewish scholar knows more beyond the three fathers. Ero, a truer statement would refer to more beyond, but not quite all. Does this make sense? It should, for everything was stated clearly in the process of saying almost nothing at all next to the wealth of the four points listed above combined, of which point 1 and 2 would take the highest precedence, while by no means demeaning the role of 3 or 4. Thanks for mentioning Oden's new memoir! Though I'm not sure he plans on becoming Catholic anytime soon, I wonder if you'd like to receive a review copy of the book? If so, you can email me at awright@ivpress.com!